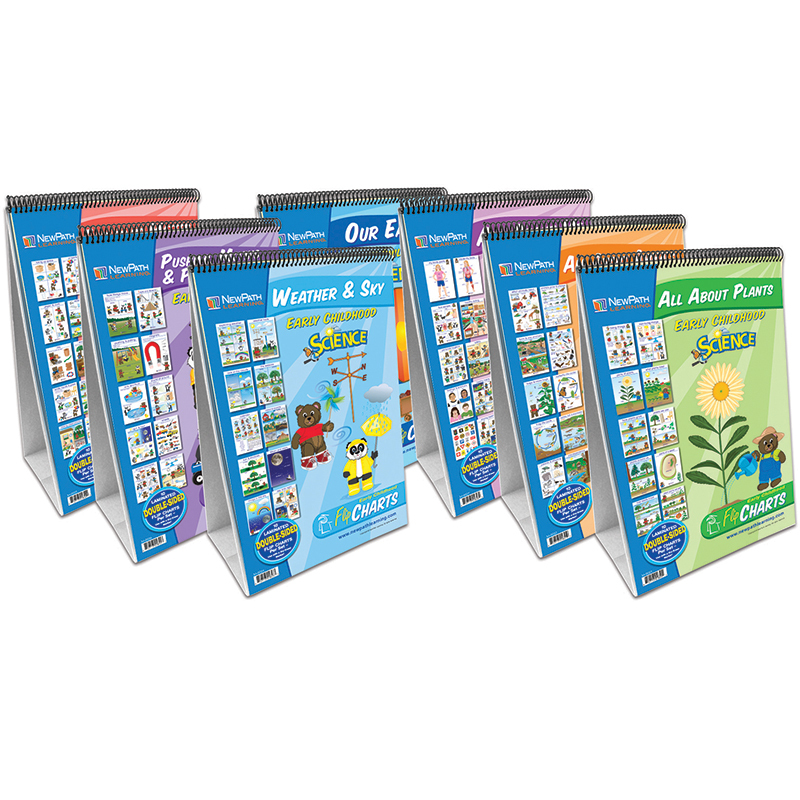 Each Curriculum Mastery Flip Chart is mounted on a sturdy easel and features: 10 Double-sided, laminated 12" x 18" charts, Side 1 features a colorful, graphic overview of the topic, Side 2 serves as a "write-on/wipe-off" activity chart featuring questions, labeling exercises, vocabulary review & more! Activity Guide featuring black-line copymasters & exercises. The Flip Chart Bundle includes one each of the following Science Readiness Flip Charts: All About Plants (34-0021), All About Animals (34-0022), Our Earth (34-0023), Weather & Sky (34-0024), Exploring Matter (34-0025), Pushing, Moving & Pulling (34-0026). All About Me (34-0027).